Made of 12-gauge enameled steel with a bronzed stainless steel rim. Brass, glass, and acrylic knob; wood handle. 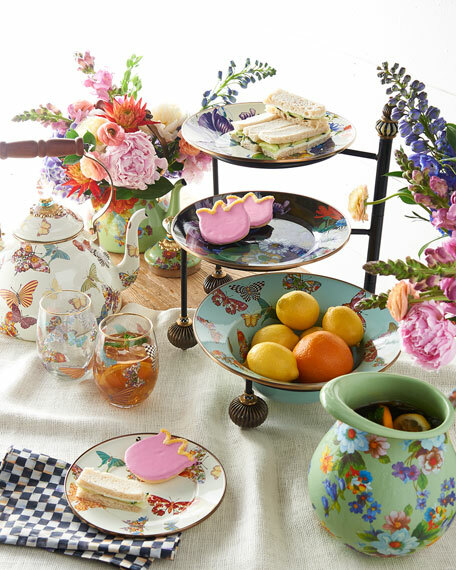 Decorated with hand-applied butterfly transfers, each displaying a different MacKenzie-Childs® pattern. 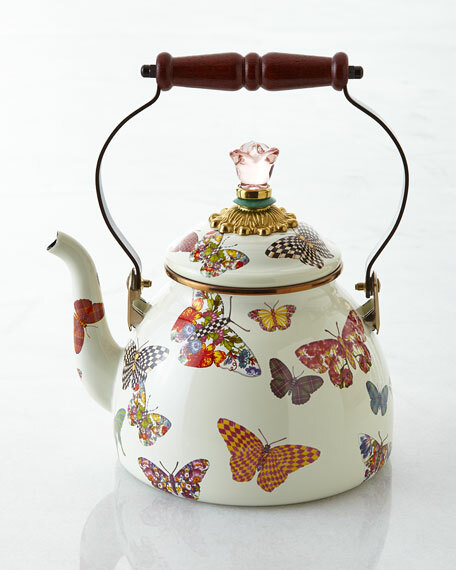 Due to the nature of handcrafting, tea kettles may vary.